Expedition 46 Flight Engineers Yuri Malenchenko and Sergey Volkov of Roscosmos successfully concluded their spacewalk at 12:40 p.m. EST. The cosmonauts installed and retrieved a number of science experiments and conducted extensive photography of the external surfaces of the Russian segment of the International Space Station. 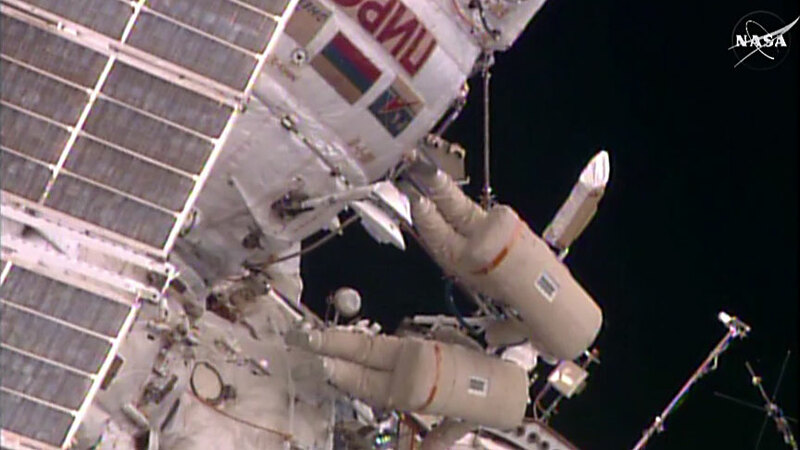 The 4 hour and 45 minute spacewalk was the sixth for Malenchenko and the fourth for Volkov. Space station crew members have conducted 193 spacewalks in support of assembly and maintenance of the orbiting laboratory. Spacewalkers have now spent a total of 1,204 hours and 48 minutes working outside the station. Congratulations on your perfect spacewalks and nice teamwork! !